HTC Sensation vs. HTC Sensation XE : Specs Comparison Battle! 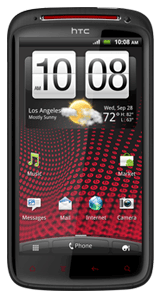 Which Dual-Core Android HTC Phone to Get? Considering that the two HTC supersmartphones almost look identical (with XE having red color accents here and there), I guess it's but natural for people to ask "How exactly is HTC Sensation XE different from HTC Sensation?" 1. They have slightly different specifications. 2. They have totally different music playback capabilities. 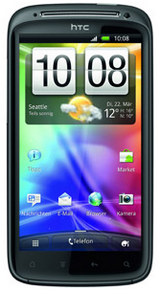 And in both departments, HTC Sensation XE is better. Looking at the table above, it's clear that although the phones share largely the same powerhouse technical specifications, HTC Sensation XE nonetheless has a faster processor for smoother performance and a larger battery, delivering longer uptime. Having specs that could beat even HTC Sensation's innards means that HTC Sensation XE could very well be the most powerful dual core Android smartphone out in the market today -- giving even Samsung Galaxy S2 a run for its money. What's not shown in the table, however, is HTC Sensation XE's music playing prowess. HTC Sensation XE is perhaps the first product of HTC's $300 Million investment into Beats by Dr. Dre, giving the Taiwanese company a majority control of the music device manufacturer's software and hardware releases. As such, HTC Sensation XE comes replete with with Beats audio software improvement and Beats Headset accessory -- making it a terrifying mobile music device. So which HTC supersmartphone to get? If you're not fond of carrying your music every where you go and you're not really power-user, then get HTC Sensation and save a few thousand bucks. But if you want to get the latest and greatest and music playback is important to you (and you're a big fan of Beats by Dr. Dre), by all means, get HTC Sensation XE. Anyway, both are great phones.